Believe it or not, when we have a guest on our show they are usually WAY smarter than we are, ESPECIALLY on whatever topic it is we’re discussing. Today’s show kept up with that tradition as we had Rick Theiner, the founder and owner of LOGIC, Inc, “Better Cleansers for Better Beverages”. As a homebrewer, we’re confident that you’ve used some of Rick’s products, including “OneStep”, “Straight A”, or Kegconnection’s in-house cleaner, “Brew Clean”. 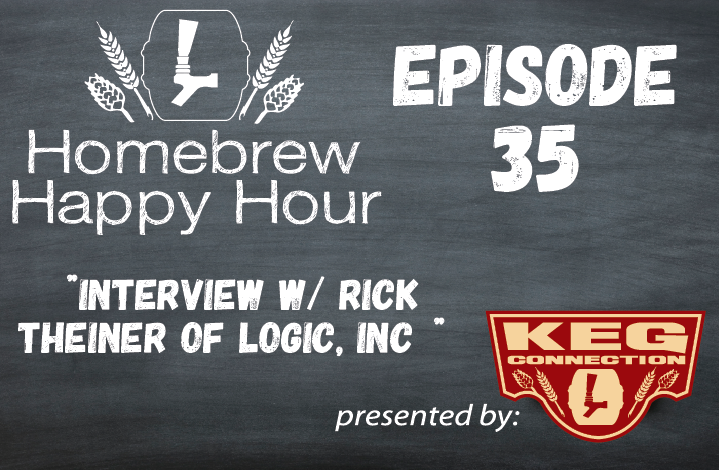 LOGIC, Inc is a homebrewer’s best friend and we are very excited to present this interview to you today!